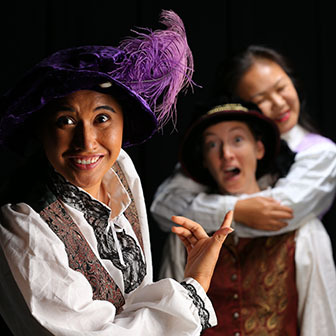 Shakespeare’s twisted, fairy-tale take on romantic comedy. The classic romantic comedy introduces two love interests with an obvious obstacle to their romance, then resolves the obstacle for a happy ending. In All’s Well That Ends Well, Helena loves Bertram, a “bright particular star” that is out of her orbit. By coming to the aid of the King, Helena wins Bertram’s hand ... but not his love. Shakespeare first subverts then dispenses altogether with the traditional formula early on, and then the fun begins ... a fairy-tale-style adventure that definitely swings more toward comedy than romance. One of Shakespeare’s Four Great Tragedies. 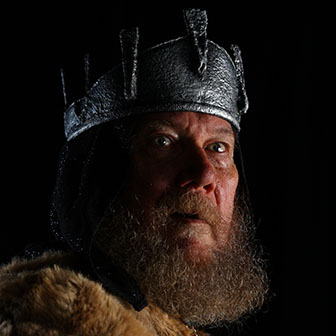 King Lear is the story of a king struggling against the ravages of age, his three daughters struggling with his increasingly erratic behavior, and a scheming villain trying to usurp the crown for himself. Filled with moments both funny and moving, this production focuses on the danger of prizing flattery over honesty. The action is set in the Iron Age and will include live musical accompaniment. Ibsen’s classic of realism, a dark drama of psychological manipulation. The unhappy Hedda, trapped in a loveless marriage, manipulates everyone around her, infecting them with her misery and destroying lives.